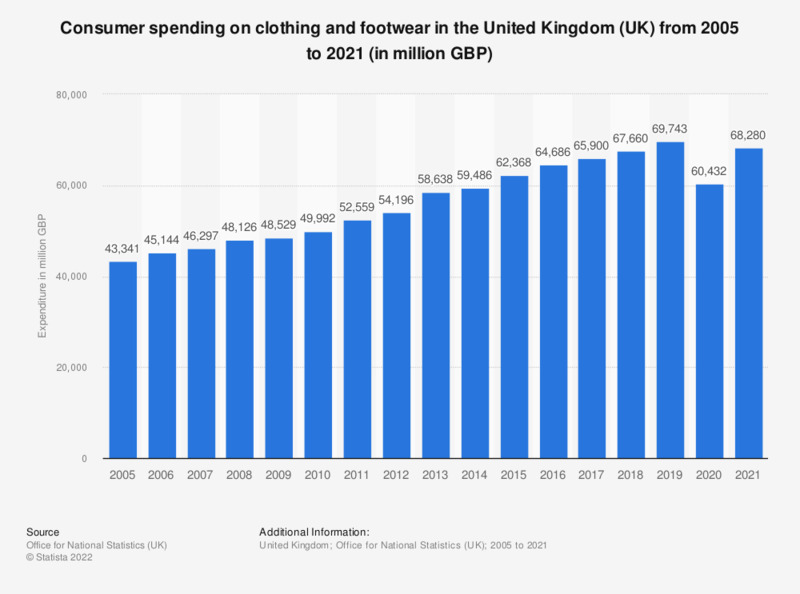 This statistic shows total consumer spending on clothing and footwear in the UK from 2005 to 2017. In 2017, consumer spending was at just under 72 billion British pounds. Spending generally rose during the period in consideration. Clothing and footwear includes clothing materials, garments, other articles of clothing, clothing accessories, cleaning and hire of clothing, shoes, other footwear, repair of footwear and hire of footwear.